Dr. Jennifer Kraschnewski is an Associate Professor of Medicine, Pediatrics and Public Health Sciences who joined the faculty at the Penn State College of Medicine in July 2009. She completed her medical degree at the University of Wisconsin and her Internal Medicine Residency at Duke University Medical Center. Following completion of her medical training, she was an NRSA fellow in Primary Care Research at the University of North Carolina at Chapel Hill. She additionally earned a Master of Public Health at the University of North Carolina Gillings School of Public Health, with a thesis examining the role of community health workers in public health promotion and disease prevention. 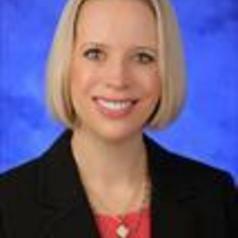 Dr. Kraschnewski is a clinician-investigator with a research focus on behavioral interventions for weight control in the primary care setting. Her research has received funding through the NIH through the Penn State CTSI (KL2, CERC Awards) as well as the Patient-Centered Outcomes Research Institute (PCORI). She has over 40 peer-reviewed publications and her research has been presented and awarded at both the regional and national levels. Nationally, Dr. Kraschnewski is an active member of both the Society of General Internal Medicine (SGIM) and The Obesity Society. She serves as the Director of the National SGIM Dataset Compendium and a member of the Research Committee. She is also the SGIM Regional Meeting Chair for the Mid-Atlantic Region. Locally, Dr. Kraschnewski serves as the Executive Director for the Penn State PRO Wellness Center, which is committed to educating and inspiring youth and families to eat well, engage in regular physical activity, and become champions for bringing healthy choices to life. In addition to her research and administrative roles, she enjoys teaching internal medicine resident physicians and medical students in both the hospital and clinical settings.